For Sale: One - Used FW Schaefer 700 pound per hour Electric Melting Holding Furnace. Inventory item: DCM-2156. 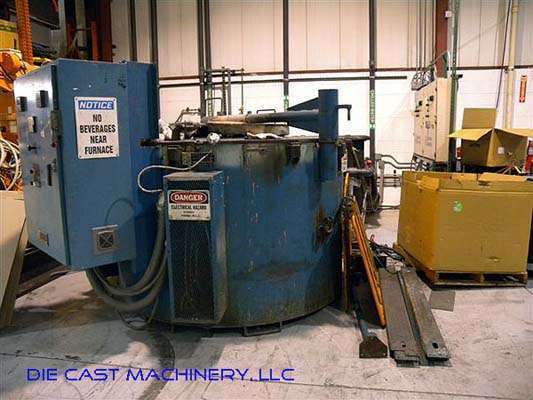 One used (second hand) Schaefer 700 pound per hour, 3100 pound Holding Capacity, aluminum Electric Melting and Holding Furnace, Serial Number 07-802-078, New October 2002, includes a new Vesuvius Crucible.